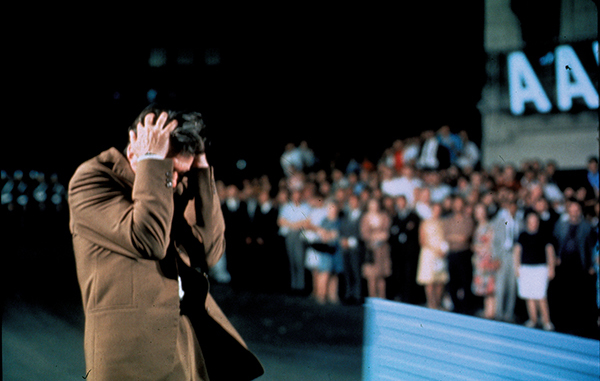 CANNES CLASSICS - Costa Gavras : "Z was filmed as a mark of protest"
Prix du Jury in 1969, Z, which tells the story of an Examining Magistrate's investigation following a Deputy's assassination, was the beginning of a serious reflection on power for Costa Gavras. The director looks back on what was the first act of a trilogy, before The Confession (L'Aveu) (1970) and State of Siege (État de siège) (1973). What was the triggering factor for Z? The event of the coup d'état of the colonels in Greece, in 1967. It immediately seemed important to me to make a film about this military coup, which I linked to the framework of Vassilis Vassilikos's novel. I talked to the co-writer of the screenplay for the film, Jorge Semprún, who immediately agreed and became part of the adventure. Was it hard to fund? We were hoping that the Productions Artistes Associés would give us some money, but they didn't like the screenplay. Meanwhile, actors such as Yves Montant and Jean-Louis Trintignant had agreed to do the film, but that didn't change anything. Eventually, we got an advance which was decisive. What do you remember about planning and shooting the film? We had to stop preparation due to the events of May 1968. The other problem was the shooting location. The South of France was impossible, and Italy refused to accommodate us. We'd been to Algiers and the town suited us perfectly. When we were there, the Minister for Information promised to help us with the facilities for the film, including technicians. What did you hope to show through this film? The film was a way of shouting "Down with the Colonels!". Z was filmed as a mark of protest. All the actors who took part in the film did so within that frame of mind. Can you comment on the film's restoration? We worked for a long time to find the film's original colours and tones, which had been sculpted, and that's the right word for it, by Raoul Coutard, who is a great Director of Photography. It took about two months in total.